Hi there, I'm Roman. Welcome, fellow inbound marketing friend - are you awake after your Thanksgiving hangover? Did you see what I did in the title? Slick, yes? This week we talk holiday content strategy, Black Friday and the double opt-in. 5 Content Marketing Ideas for December 2015 - Don't let the opportunities of the season pass you by. There are plenty of content opportunities aligned to the holiday season - gift ideas targeted to a specific persona, holiday preparation ideas, even resolution guides for the new year. Capitalize on the business rush of the holiday season. 7 Must Haves for Your Holiday Social Media Strategy - Following from above - don't forget social media this holiday season. Especially around customer service. Holiday frustrations can lead (unfairly) to your brand being called out on social media. Have a plan in place to address trolls and problem customers. 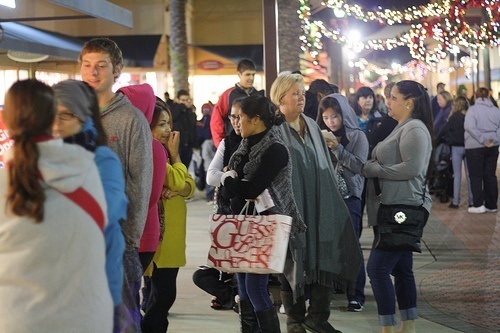 Black Friday Shopping Shifts Online as Stores See Less Foot Traffic - Certainly less fights out there for that coveted $2.99 laptop. Seriously, why do people still covet door busters? "By mid-Friday, sales at Amazon were estimated to have jumped 19.6 percent this Black Friday compared to last year, according to the e-commerce analytics company, ChannelAdvisor. Google Shopping grew 26.42 percent, ChannelAdvisor said, albeit from a smaller base." 10 or 20 years from now Black Friday may be a historical artifact. And there was no $2.99 laptop - as far as I know. Embracing the Double Opt-In: How It Can Be an Email Blessing, Not a Curse - You just double checked with your email list to make sure everything is copacetic. Just asking folks 'Hey - are you sure?' That's powerful goodwill and permission marketing at it's best. How To Explain Inbound Marketing At The Table This Thanksgiving - a fun little post that can be used throughout the holiday season. I typically say I do digital marketing (under 40 crowd) or build websites (over 40 crowds). Keeps things simple.